Eliminate manual & paper based proceses. Drive care that improves your bottom line. Incident Tracking & Alerting gives you a comprehensive solution to fully document every resident incident, accident or injury. Incidents are rated by severity level with HIPAA-compliant phone, email and text alerts automatically sent to key personnel for immediate action and reduced liability. 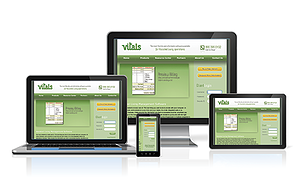 Like the rest of the Vitals solutions, Incident Tracking & Alerting is customizable assisted living software that’s easily adaptable to help you leverage your data for better profitability and risk reduction — plus greater utility and compliance. The problem with some tracking software is that it doesn’t offer enough functionality or that it’s too costly. And old-fashioned paper documents or spreadsheets only invite trouble. Vitals Incident Tracking & Alerting is a robust, affordable, intuitive solution created to work a la carte or as part of our integrated suite of senior living software.